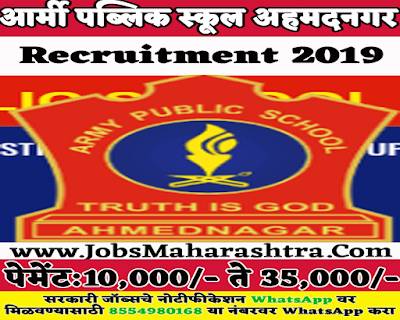 Applications for post of Administrative Officer, Head Clerk, LDC/Receptionist, Data Entry Operators, Physics/Lab Attendant are invited for Army Public School, Ahmednagar. Interested and Eligible candidates who wants to apply for these posts kindly submit/send their applications by post/by hand along with attested copies of certificates/testimonials on below given address before 25 January 2019. For more details like age limit, salary, how to apply, selection process please refer the below article. Application form is available in the school office and on official school website. Official website is below provided in Important Links section. Only hard copy application will be accepted. 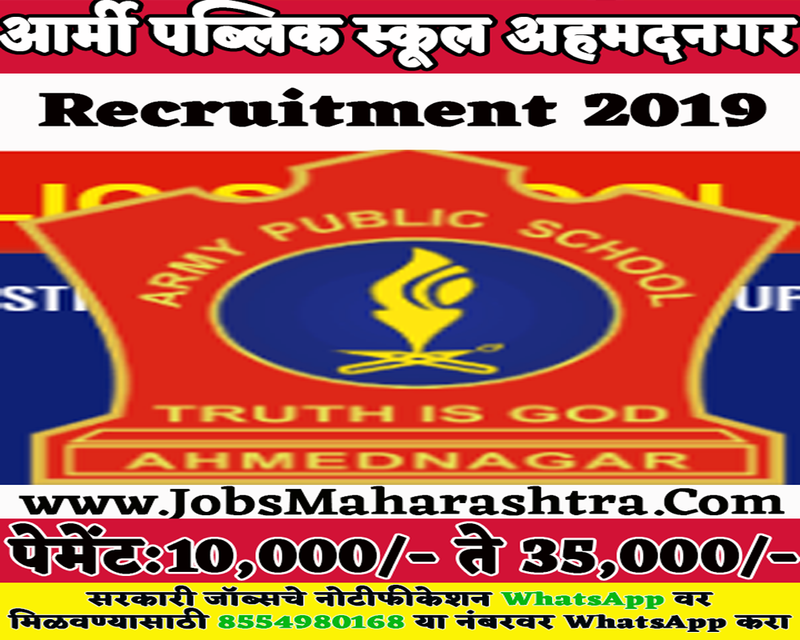 Kindly submit/send the form by post/by hand along with attested copies of certificates/testimonials addressed to The Principal, Army Public School AC Centre and School, Ahmednagar.